The project was completed with an outdoor barbeque, wood burning fire ring and raised sun deck. The pool area's balanced symmetry is blanketed by authentic Mediterranean landscapes, which light up exquisitely at nighttime with a myriad of colors. 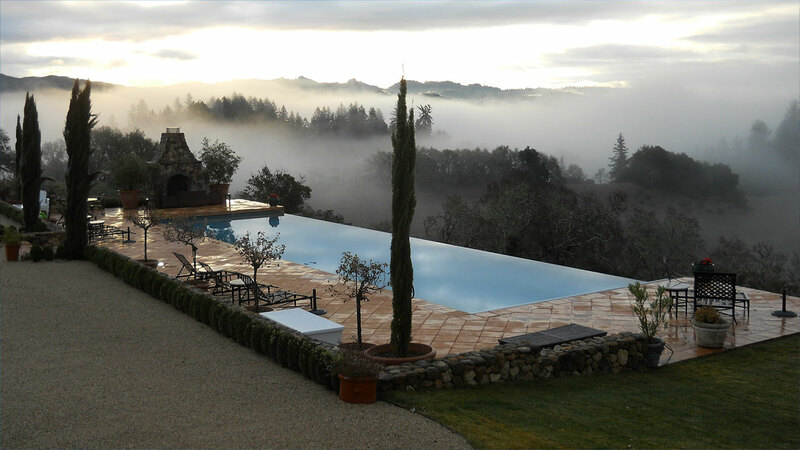 Leaping laminar jets, waterfalls and sheer descents finish the swimming pool landscaping, creating a true beauty resembling a Tuscan Mediterranean Oasis. Built to Last a Lifetime For the Times of Your Life. 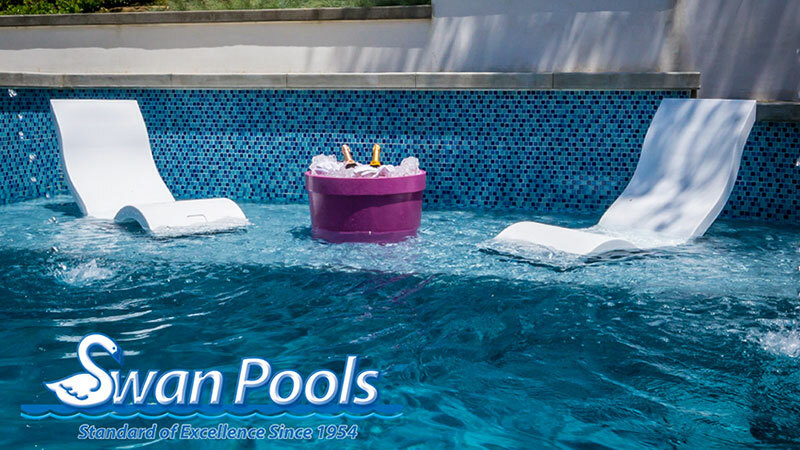 For over 60 years Swan Pools has been creating living environments, with custom swimming pool designs as their centerpieces. 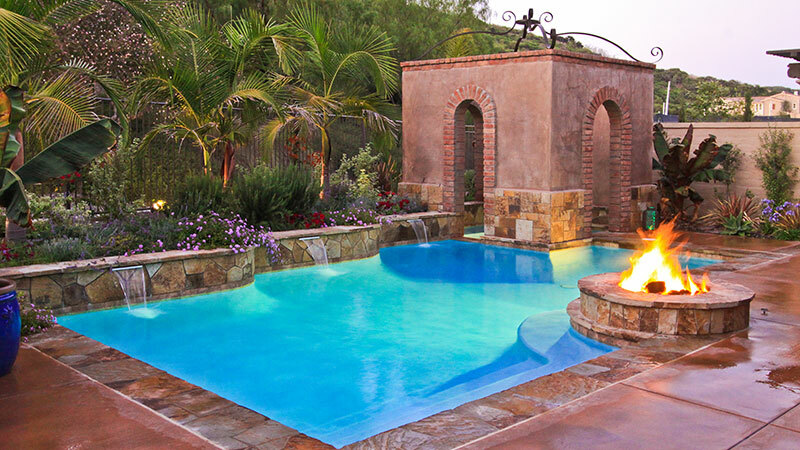 As a swimming pool contractor, we work to understand our customers’ hopes and dreams, needs and passions. Then we design and build practical, elegant spaces that enhance their worlds. 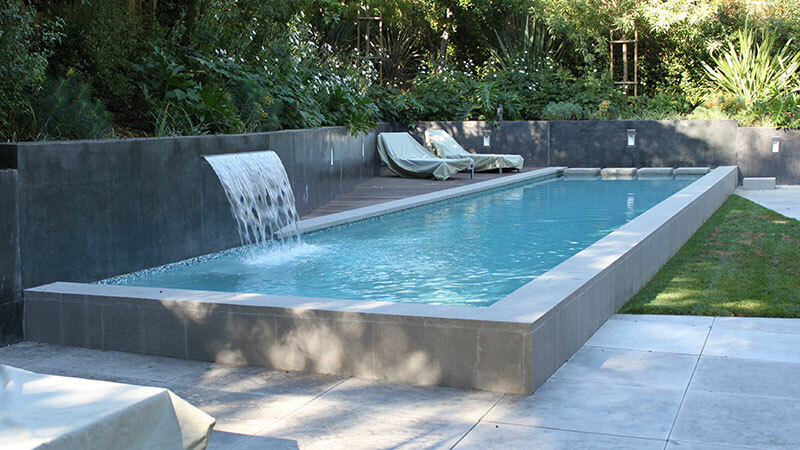 Free Swimming Pool and Spa Design Consultation and Estimate. Our history begins with value. In 1954, we opened the doors of our Los Angeles office and began building swimming pools for Southern California families. 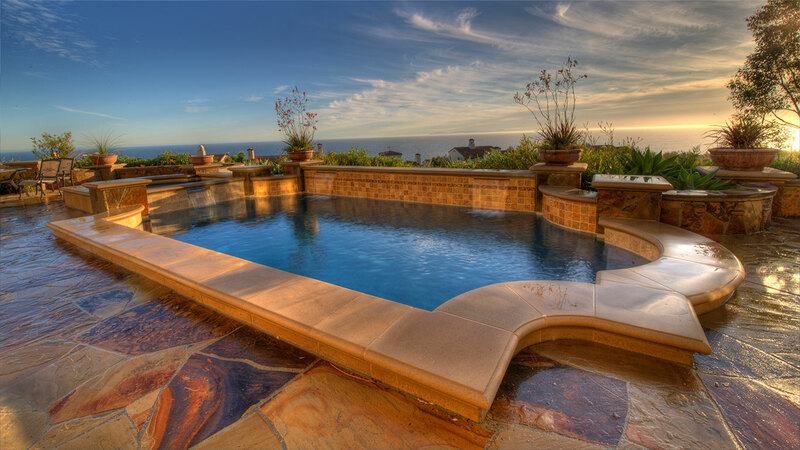 We had a simple philosophy: build every swimming pool with the finest craftsmanship, respecting our customer’s money and property as if it were our own. California families loved our approach. 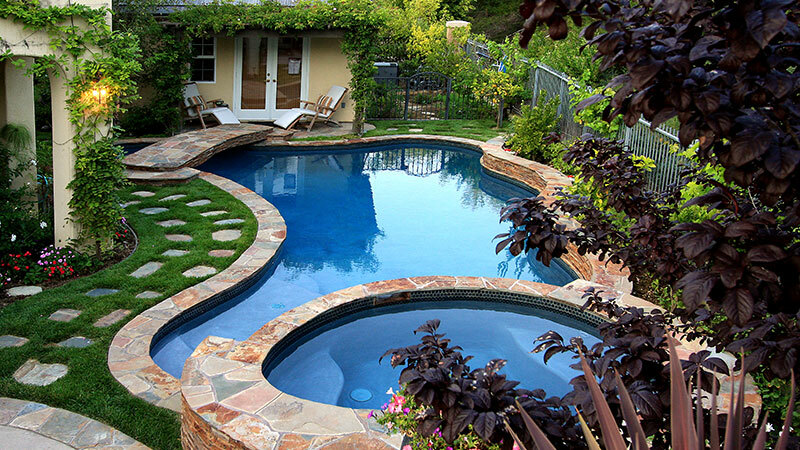 By 1975 we were the state’s premier pool builder of custom, residential swimming pools. In 1976 we opened our Stockton office – the first of six locations in Northern California. 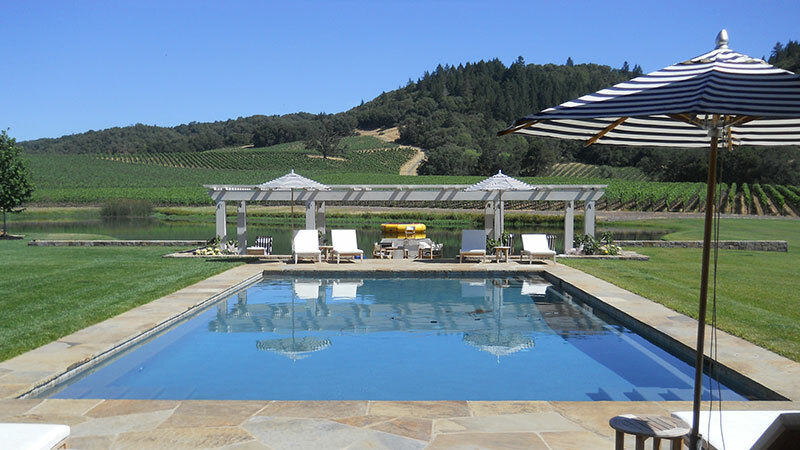 Today, Swan Pools is California’s leading pool contractor in residential swimming pool construction offering custom pool designs. We have never changed our founding philosophy. But now, we can offer our customers something more - the backing of a secure, successful group of companies, with a 50-year track record and over 50,000 projects completed. Beyond the water is the oasis. 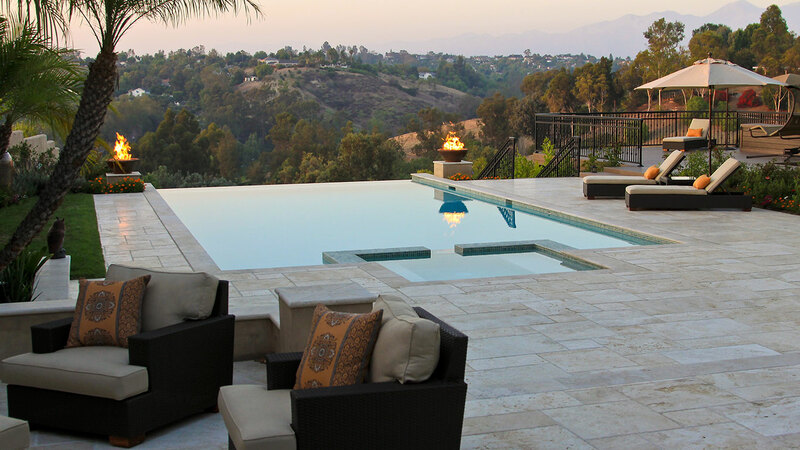 We’ve always understood that a swimming pool is just a detail of a bigger picture. Above and around the water is a living environment. It’s a place where families come to find joy, exhilaration, tranquility and the pleasure of company. 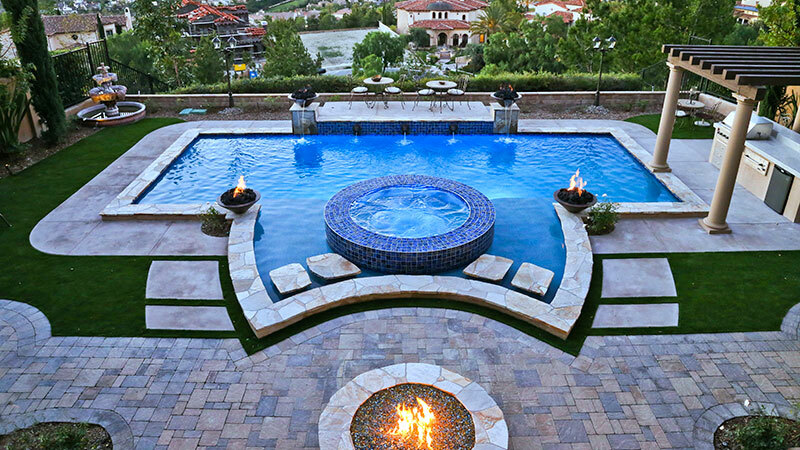 A private oasis. 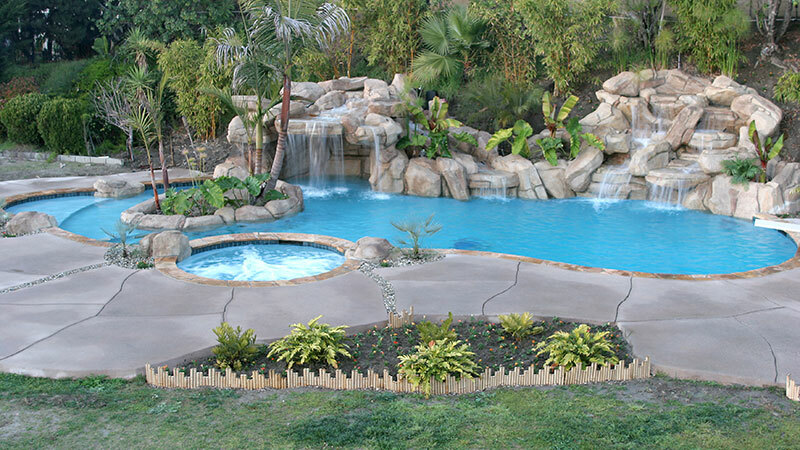 Today, Swan Pools creates complete backyard environments, with custom pool designs as a centerpiece. We begin with the lives of our customers, their hopes and dreams, needs and passions. Then we design and build flexible, elegant spaces that enhance their worlds. From the intimate to the majestic. 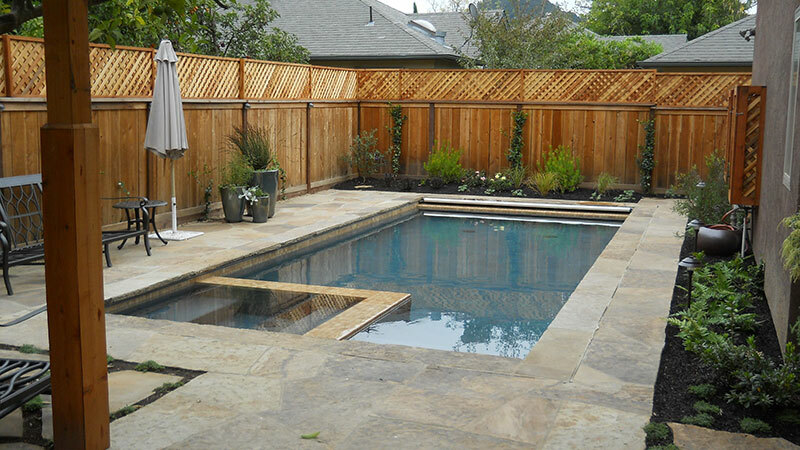 Swan Pools customers live in compact urban spaces and on sprawling acreages. Their homes are built on hills, on rocks and on beaches. Just as no two families are alike, neither are their properties. 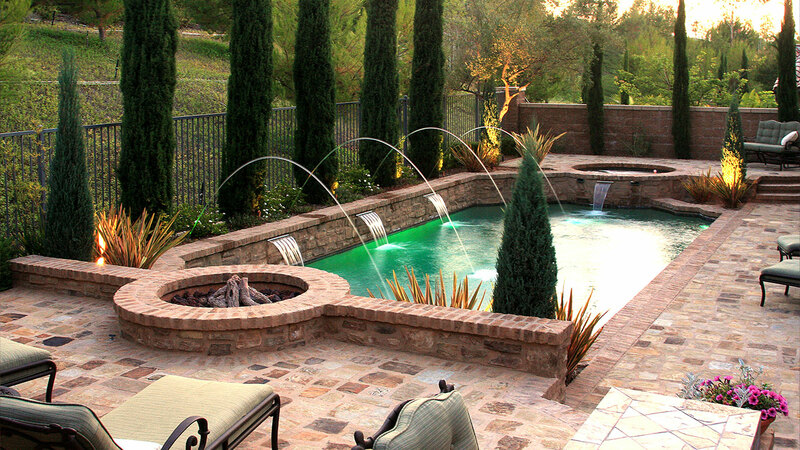 Custom swimming pool designs are truely required. 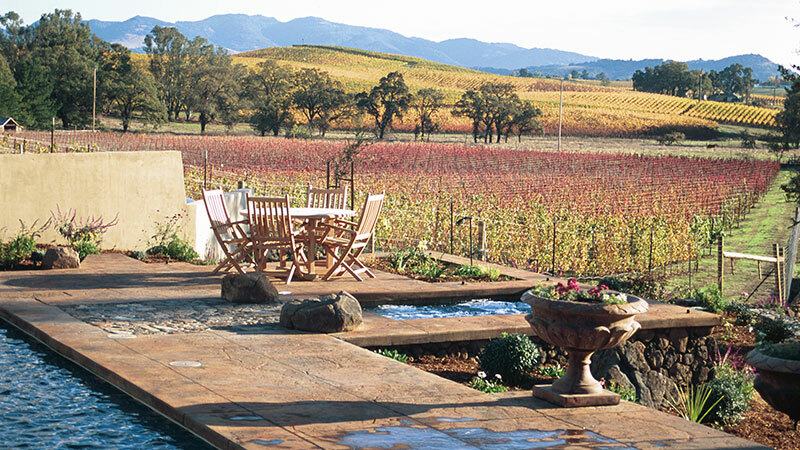 Every Swan Pools environment is a unique, custom creation, reflecting the spirit of the owner and the spirit of the land. Our promise has been unchanged since 1954. Swan has always, and will always provide our customers with uncompromised quality at the best possible value. For us, quality means longevity, efficiency, performance, craftsmanship and beauty. Value includes both the purchase price and the cost of long-term maintenance. 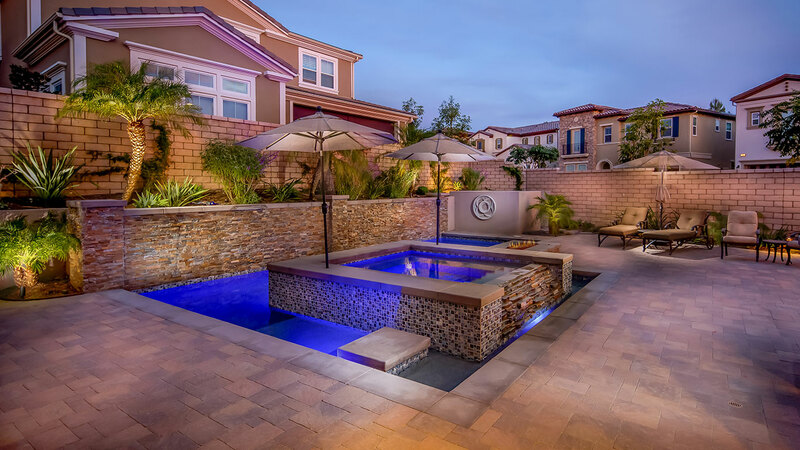 Armed with the industry’s leading long-term warranty and quality assurance program among swimming pool contractors backs our promise.